I'm absolutely gobsmacked that you found the alley and Jack Toland's house. Incredible! You are dedicated and amazing. Google Earth is a great tool but you got to know where to look! I always assumed the alley was on the WB lot. Thanks, M_V. I love doing this. And, yes, Google Earth is amazing -- and just a bit scary when you think about it. helloeeze wrote: I'm absolutely gobsmacked that you found the alley and Jack Toland's house. Incredible! You are dedicated and amazing. Google Earth is a great tool but you got to know where to look! 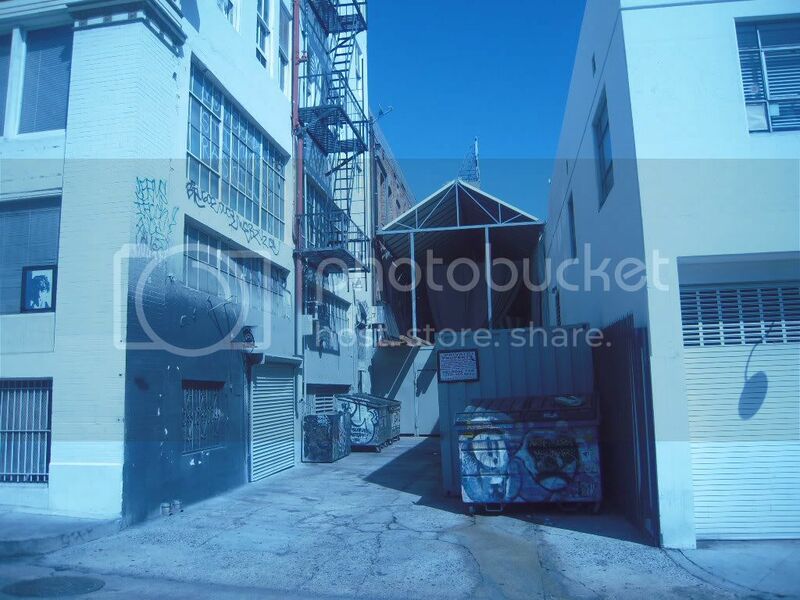 I always assumed the alley was on the WB lot. I thought the alley was on the backlot too, helloeeze, but I couldn't find a match. I really have to give props to MyImmortal on that. I thought of keying on that tall office building that can be seen when Mick looks out the safe house window. It looked so familiar to me, but I couldn't place it anywhere. It turns out it wasn't far from the hotel we stayed in while we were in LA. I just never made the connection. MyImmortal's idea of researching the graffiti was sheer brilliance. Thanks for these. I went by them on my recent trip. The alley has been painted and there is not as much graffiti but you can still recognize it. Of course it looks much smaller in person. It's on Cosmo Street near Hollywood Boulevard about seven blocks or so from Grauman's Chinese theatre and the Highland Avenue. Of course, the dumpster that Mick was standing next to is not there. 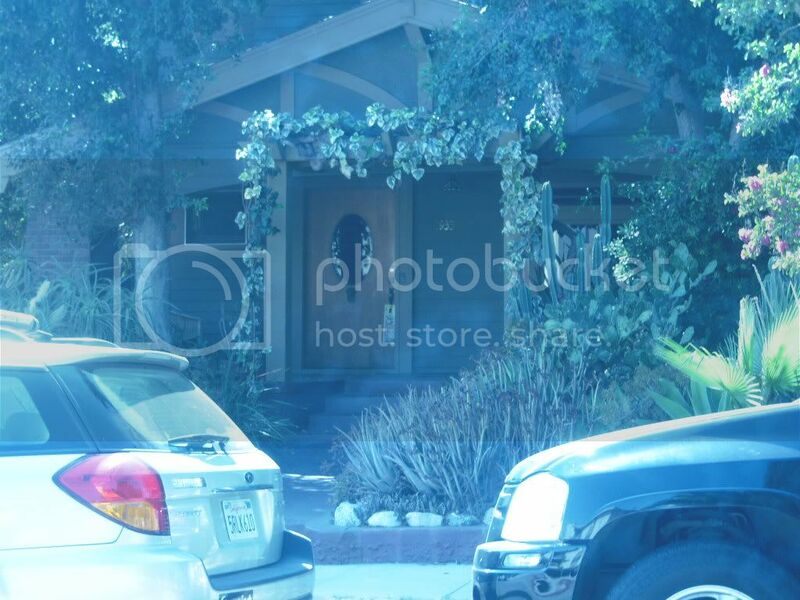 And, yes, it's a short drive to Jack Toland's house, which looks exactly the same as it did when it was filmed and the white fence that Mick and Beth were standing at is actually right across the street from Jack Toland's house. Here is the alley now. If this is messing up the continuity of this thread, feel free to remove but here it is now. This is the spot where Mick and Beth stood during the "Delicate Flower" exchange! helloeeze - Thank you so much for posting these! Ever since Moonlight I keep seeing the motel on tv / in the cinema!! Germany's Next Top Model did a photoshoot there a few episodes ago and 'My Name is Kahn' shot a scene there too. (I think I squealed in the cinema yesterday). Tam - I feel exactly the same way. It's kind of like these are Moonlight's special places and any other show is just "borrowing" them. Yes! Yesterday in the cinema, as Sahruhk Khan was hiking through the desert, I thought "hey, that looks like Mick's desert". And then I told myself "please, there are surely more spots in the USA where they could have filmed this...it's not the only place with sand!" And low and behold, they reached the motel It was Mick's desert after all! OK. This is the weakest reason that I've ever put something on my netflix save list. "Because it was shot where Fever was shot". I've just updated the first post with info about Amir Fayed's house. This is one location I had almost given up on, but thanks to a link from r1015bill I was able to get some info on the house. 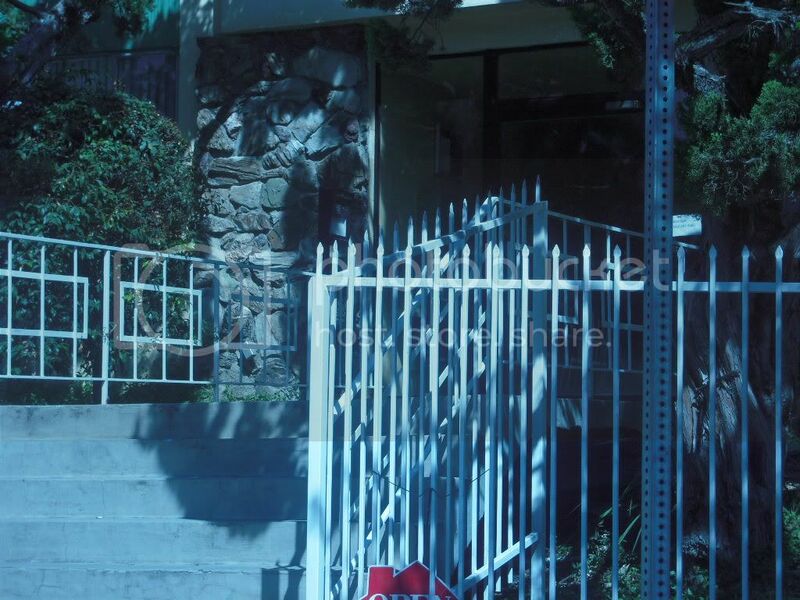 The website, http://www.itsfilmedthere.com, listed only an address, but a quick search led me to the San Gabriel/Pomona Valley American Red Cross. 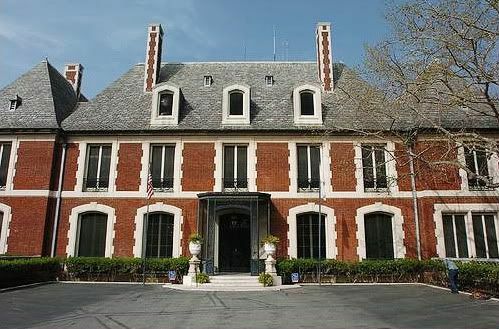 This building is their chapter house and is often leased out for film shoots and special events such as weddings. Woohoo!!! Thanks for all your hard work!! ...And just in time for tonight's showing of "Fever"! Is there a helicopter involved?